Parent-Teacher Conferences are scheduled for Wednesday evening (April 17) from 6-9pm and Thursday morning (April 18) from 10am-12pm. As we did in the first half of the year, we will use SignUp.com, an online web-based platform, for parents registering for conferences with their child’s teachers. This Wednesday, students in Grade 6 will be travelling to Sobeys in Stratford to prepare a delicious meal with Chef Nathan. After preparing the meal they will serve it in a collection of take-out containers to determine potential environmentally friendly options for restaurants. This is a learning component to our PBL project. The cost of this event is $10/student with lunch being provided. Please return your child’s permission slip and payment by Wednesday at 9 AM. If you are available to drive, please send me an email at nmacneill@gcspei.ca. Mondays and Fridays, starting April 15, Track and Field practices will be held from 3:15-4:00 at GCS. Students in grades 3-12 are invited to participate and should come dressed in proper fitness attire and sneakers. We are thankful for our parent volunteers who have committed to running 2 basketball camps this year. Camps will run on Wednesday’s beginning on April 17- May 15. The grade 1-4 camp will be held at GCS from 3:15-4:15 with Mrs Able, while students in grades 5-8 will require drives to ICS to participate in their camp from 3:30-5:00 with Mr Rancourt. As we take the time to reflect on Jesus’ death, burial, and resurrection this coming weekend, it is our prayer that you gain a deeper appreciation and love for the Lord. Please note that in honour of this, we will not have classes on Good Friday or on Easter Monday. Classes will resume Tuesday, April 23rd. In partnering with parents, our approach to education is holistic, aspiring to graduate students who are spiritually, academically, emotionally, physically and socially mature for the glory of God. 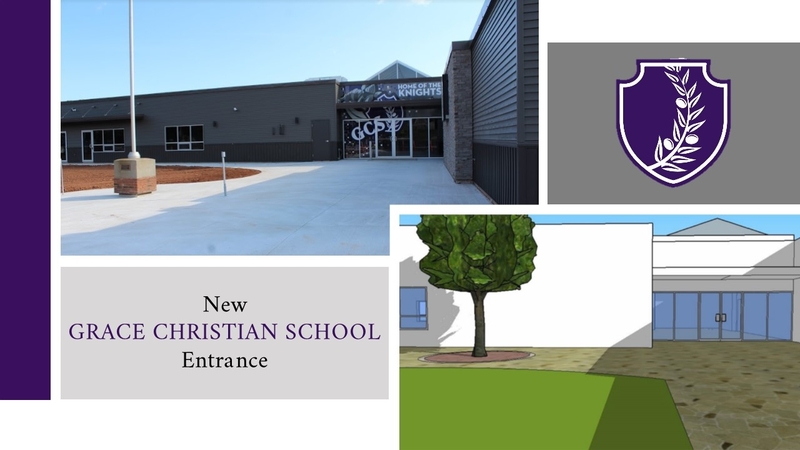 © Grace Christian School. All rights reserved. A division of Grace Baptist Church.